It only takes a little light to penetrate a lot of darkness! Yesterday our family went to the Ape Caves. 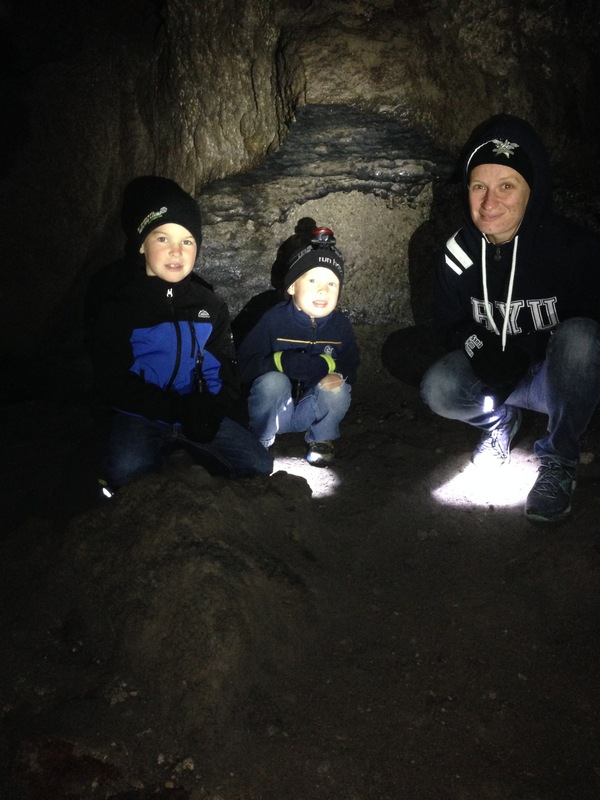 I spent lots of time tromping around the good ole Nutty Putty Caves* in Utah as a teenager and I even took Vaughn there on one of our first dates. We were excited to share the fun with our kids. The Ape Caves have two directions, down which is a very easy walk, and up which is more difficult. We did all of the down, and a little bit of the up. When you prepare to enter a cave you prepare to be immersed in darkness. Obviously you have to bring your own source of light. Although you can rely one one person having a big light or lantern for your group, it works best when each person has their own light source. Relying on the light someone else is holding means you can’t direct it on your exact path and it can sometimes give you weird shadows that can make things look a little different. A group lantern is certainly better than nothing, but it works best if each person has their own personal light source. Vaughn has a thing for flashlights. So we had a lot of lights. Each of us had a headlamp and a very bright flashlight, plus each light had extra batteries and if all else fails we both have flashlights on our cell phones. The flashlights were brighter than the headlamps, but when we needed our hands to climb it was great to be able to stow those and use the dimmer, but hands free head lamps. Being surrounded by darkness with only your little beam of light can be frustrating. Sometimes you wish you could see everything so you could get a better sense of where you were and what terrain lies ahead, but in a cave that is obviously not possible. There is darkness everywhere you don’t shine a light, and it can start to feel a little heavy. However, as I watched my two boys skip, climb, jump, and at times army crawl around in front of me (let’s face it, walking isn’t really the word to describe what kids do) I was amazed at how it only took two little boys carrying light in front of me not only gave a bright focus to their own path, but it dissipated and reflected until it filled the whole area. It wasn’t overly bright, and it wasn’t bright enough to travel by, but it was bright enough to see, it was bright enough to not be dark. It seems lately that I have been feeling the weight of the darkness that surrounds me just beyond the light that I carry in my life. I can feel the weight of it pressing down on me. As I look at how the dark seems to be getting darker I sometimes forget that no matter how dark it gets it cannot snuff out light. It only takes a relatively little bit of light to overcome the darkness. And that, my friends, is why even though darkness seems to grow and get heavier light will win. Sometimes I forget that. Sometimes I look at how wickedness becomes heavier, and I forget that it doesn’t matter because we already know that when we carry with us the Light of Christ we will win. There are no if’s, and’s or but’s about it. Light will win. It was a busy day at the caves and although we had a quiet trip down (benefit of being early people!) the way back we were amazed at the hoards of people who were coming down. As I looked at all the different people in the cave I was amazed how many people were not properly prepared for the activity they were participating in. The cave is 42 degrees, all of the time. That information is easy to find. Yet people were showing up in shorts, t-shirts and sandals. I heard lots of people mention they were freezing. I saw a man carrying a baby in a carseat. All the way down a cave. The entire carseat. We saw an entire family trying to make their way down with one iPhone flashlight for the entire group. As I watched these people, some who were prepared and some who were almost comically unprepared, I realized that carrying a light is not enough to be successful. If you do not have the right equipment, if you do not have the right apparel, if you do not have enough light, if you are carrying things that you do not need to bring, your journey will be harder or make the journey impossible. Tromping through a dark cave was a lot of fun. 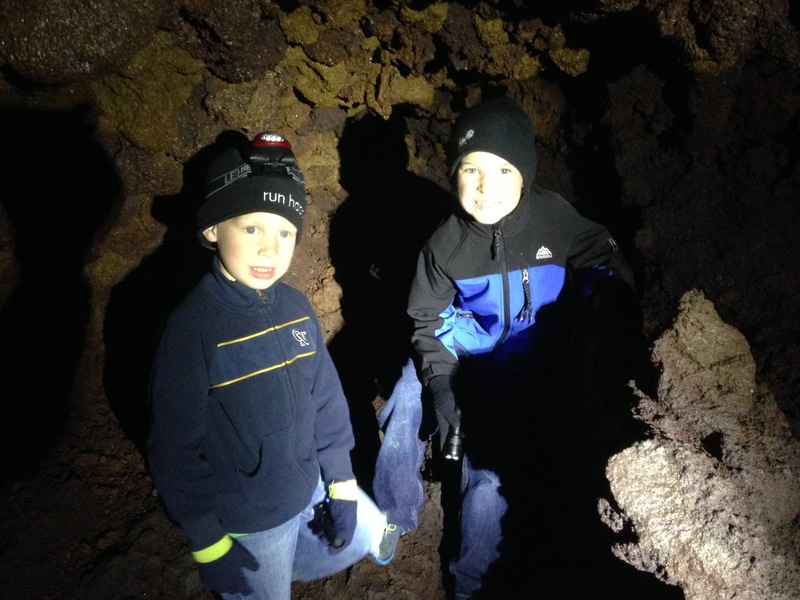 Our kids loved it and were sad that we didn’t spend more time in the more difficult side of the cave. They climbed over the large bolder fields like it was nothing and without a single complaint except that it was over too soon. When you are prepared and when you have enough light (enough might not be as much as you want, but it is enough to accomplish the task) you can find joy in your journey. Hard does not mean miserable, hard can be a lot of fun! *Yes, I know they closed Nutty Putty caves and I understand why. However, I am sad that it is closed because of all the adventure and fun I had with so many of my dear friends throughout the years.